The U.S. State Department’s annual Trafficking in Persons Report was released [this past June], but if you blinked, you probably missed hearing about it. That’s a shame because the report — despite its flaws and allegations of political influence impacting its data — does give the general public an overall look at the nature and extent of human trafficking around the world. Neither the New York Times nor the Washington Post, for example, have yet run stories on the report, and broadcast news has been largely silent. The 2008 report, released by Secretary of State Condoleezza Rice, concludes that while progress in combating human slavery is being made, the lack of enforcement of anti-trafficking laws in many nations is enabling perpetrators to escape punishment. The focus on prosecutions, Rice said, was a new emphasis of this year’s report. The annual human trafficking assessment was mandated by Congress in the 2000 Trafficking in Persons Protection Act. It annually evaluates the efforts of 170 countries to combat human trafficking. The report aims to raise awareness of the scourge of modern slavery and to encourage countries to take action to prevent it. A controversial aspect of the report is its ranking of countries in “tiers” based on an assessment of the government’s compliance with the minimum standards for the elimination of trafficking as explained in the 2000 anti-trafficking legislation. Tier 2 and Tier 3 countries have moderate to severe challenges in controlling trafficking. Another category, “Tier 2 Watch List,” indicates countries in danger of falling to the bottom Tier 3. The controversy arises for two reasons: while the State Department ranks the anti-trafficking efforts of other nations, the United States itself is not ranked, which has prompted many governments — including some allies — to accuse the American government of placing national self-interest above objective analysis. (Trafficking into and within the United States is detailed in a separate report each year. In the U.S. an estimated 14,500 to 17,500 victims are trafficked into the country each year). Second, the rankings of nations appears to many to be unduly influenced by global political and economic factors that result in human rights violations being ignored. The State Department counters this criticism by pointing out that U.S. efforts to combat trafficking involve partnerships with other countries, international and nongovernmental organizations. In fiscal year 2007, the U.S. government spent approximately $79 million to fund 180 anti-trafficking projects in about 90 countries. Since fiscal year 2001, the United States has funded more than $528 million for anti-trafficking projects worldwide. Still, it’s hard to fathom the relatively benign Tier 2 ranking for China — which is hosting the 2008 Olympic Games in August. China, the report charges, has made insufficient efforts to combat trafficking, especially in regards to North Korean women who are trafficked into China as “wives” or prostitutes. Those North Koreans unlucky enough to be returned by authorities to North Korea routinely are punished by the North Korean regime, said Ambassador Mark Lagon, the director of the State Department’s Office to Monitor and Combat Trafficking in Persons. 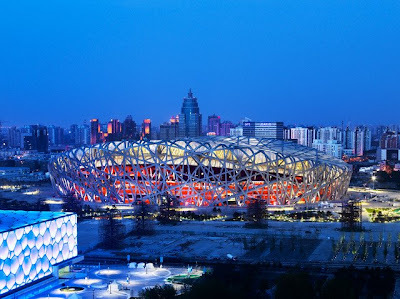 Whether China deserves a lower ranking, one thing’s for sure: with the Beijing Olympics about to begin, it would have been reasonable to expect that the trafficking report would have generated much more extensive world-wide coverage. It still might, but it’s disappointing to see the international news media ignore profoundly important human rights issues to focus, instead, on athletic competition in a nation that appears to flaunt essential protections for its citizens. This is a very informative article; thanks for your insight!